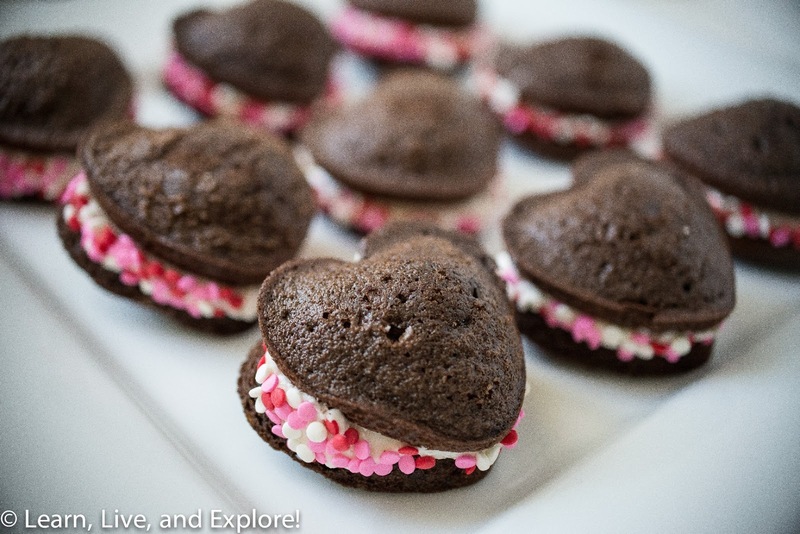 Valentine's Baking: Chocolate Heart Whoopie Pies ~ Learn, Live, and Explore! 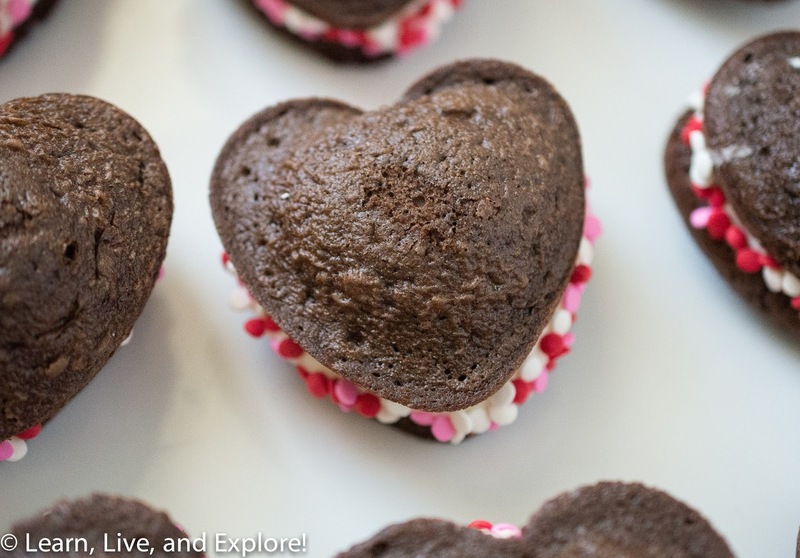 Think these desserts look yummy, then rest assured they are no big whoop(ie) to make! 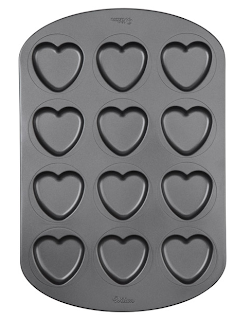 To start out, I purchased a heart shaped baking pan from Wilton (found at Target) because no way was I going to cut out individual hearts! I decorated it with a little valentine color confetti, rolling the sides and pressing the confetti into the filling. There it is! All done! Now time to get a sugar rush and whoop(ie) it up!